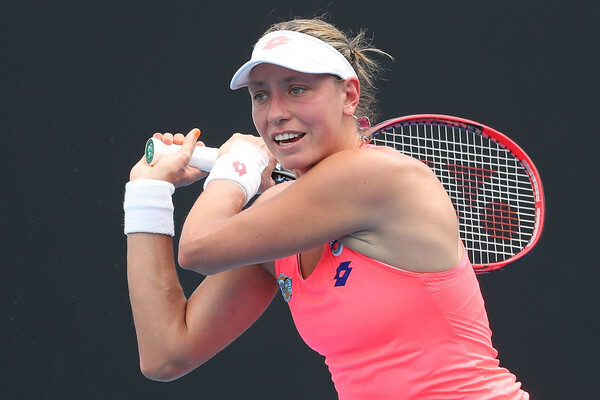 Yanina Wickmayer is a Belgian professional tennis player who won her first WTA Tour singles title in 2009 in Estoril. She was a successful youth player in Belgium. She played for Belgium in the 2012 Summer Olympics in London. She was named WTA Most Improved Player in 2009. She reached a career-high rank of No. 12 in 2010. Yanina was born on October 20, 1989 in Lier, Belgium, the daughter of Daniella Dannevoye and Marc Wickmayer. She has been in a relationship with soccer player Jerome Vanderzijl since 2011. *In June 2011, she was named by the Time Magazine as one of the “30 Legends of Women’s Tennis: Past, Present and Future”. *Her mother died of cancer when Yanina was a child. *She is named after Diego Maradona’s youngest daughter Giannina. *She fluently speaks Dutch, English and French. *Follow Yanina on Twitter, Facebook and Instagram.